So glad you decided to stop by! 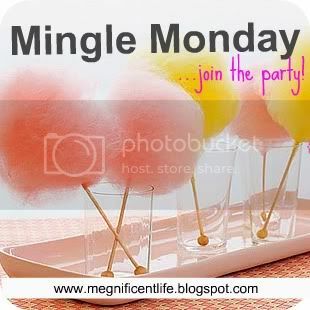 For those of you who are linking up for Mingle Monday for the very first time - I am thrilled to have you here! This is your place to meet so many wonderful friends, discover inspirational blogs, and to gain some followers of your own. This blog hop is always open from Monday - Sunday, so don't you worry! And to my faithful Monday Minglers, you make my heart happy. Thanks for your feedback and for your sweet comments every week. I look forward to reading every single one of them! Now go show Monday who's boss! YAY! I love finding new blogs! This is great! Thanks! The kissing one was oh way too much for me! Love this link up! I wasn't too impressed by the commericals but I did like the Oreo one! Have a great day! I didn't really like too many of the commercials, the the Clydesdales running to meet its old owner definitely made me smile. Off all the ones I saw that one sticks out the most. We barely watched the Super Bowl. I had it on for the first half, and then the half-time show, but not for anything after that. And I was disappointed in the first half commercials. I went back and watched the "God Made a Farmer" commercial this morning and loved it. I feel like that commercial should be made for every hard, often forgotten profession -- like social workers, teachers, nurses, etc. So glad to link up with you! Thanks again for hosting! Makes Mondays more fun!! I was at a super bowl party, but spent the entire time in the kitchen chattin it up with the ladies, so I can't say I have a fav commercial...ha! But I did watch a little of the half-time show and that was fun :) Happy Monday!! hi! My favorite commercial was also the Amy Poehler one. It was one of the only ones I watched! I am not a huge super bowl fan, but I am a fan of Mingle Monday! Hello Meg, thanks for another Mingle Monday! Being an animal lover that I am, my favorite commercial was the Clydesdales Budweiser one, such a special feeling when it comes to real connections human/animals! Also I love the dancing Gangman style pistachios and the Taco Bell on too!!! I have to say, I loved that Taco Bell commercial. Too funny! We ended up chatting through most of the Superbowl...but I would have to say my favorite was the Budweiser Clydesdale commercial. Tearjerker! I missed most of them, I was chasing bambinos all afternoon! Happy Monday - which should be a holiday after the Super Bowl. There were several laugh-out-loud commercials as well as some duds, but my favorite was the Doritos - Daddy Princesses! I didn't really care about the Ram Trucks' "God made the farmer" when I saw it first time. Now when I saw it again this morning, I love it! The Jeep commercial was good too although I have a bit mixed feelings about using military to increase the sales but at the same time it showed some awesome pieces about the military family life. The Budweiser commercial of course! I love the Clydesdales! embarrassed to say I didn't watch a single minute of the superbowl so I missed all the commercials! and, more importantly, i missed Beyonce!! I liked the Doritos one with the goat - and the robot car chick beating up the guy. They were hilarious! I have to confess, I did't watch the Super Bowl. If my husband was home, I def would have, but I had the house all to myself so I decided to watch the Bring It On marathon. I'm a terrible American. OMG! This is awesome caught the blog hop title in the sidebar, clicked to see what it is? 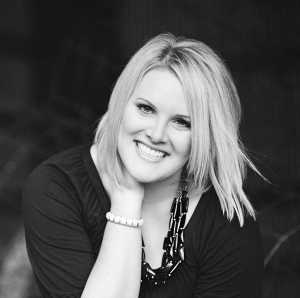 So nice to connect with other bloggers and find new interesting blogs! Shared the Monday Mingle button on my sidebar so I don't forget. Loved the Taco Bell Commercial! The Amy pohler one as well! I love the Budweiser one where he meets up with the Clydesdale later after he trained him.